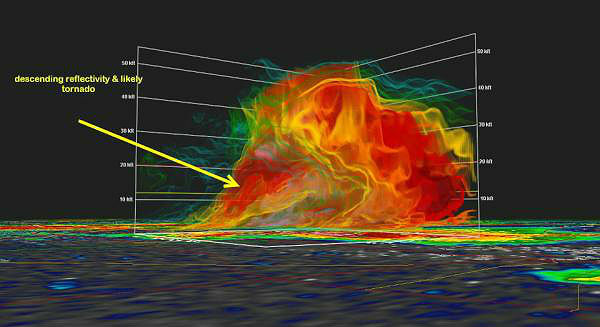 Large, destructive tornadoes touched down in the Dallas and Fort Worth areas of Texas on Tuesday afternoon. Wave after wave of storms battered North Texas on Tuesday afternoon, smashing homes and apartment complexes, toppling trees, tossing vehicles. Cleanup efforts began in Texas on Tuesday after tornadoes ripped through the Dallas-Fort Worth area, tossing tractor-trailers like toys, forcing airlines to cancel flights and causing widespread damage. 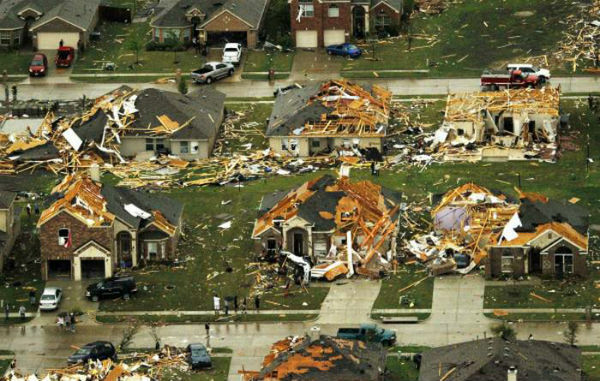 Damage was also reported in Kennedale and Arlington, Texas. The mayor of the latter city signed a disaster declaration to help cope with the destruction. The devastating thunderstorms that spawned at least a dozen tornadoes Tuesday began like almost every springtime storm in North Texas. But this system had a twist — twin super-cell thunderstorms that developed almost simultaneously near Dallas and Fort Worth. The National Weather Service reported at least a dozen tornadoes in North Texas — including two in Dallas. As many as 13 tornadoes might have touched down in north Texas on Tuesday, said Jesse Moore, a meteorologist with the National Weather Service in Dallas-Fort Worth. By Tuesday evening, more than 47,000 homes and businesses in north Texas were without power, said a spokeswoman for Oncor Electric Delivery. A stunned mayor and City Council called Lancaster a disaster area Tuesday after a tornado damaged at least 300 structures and displaced up to 700 residents from an apartment complex. Officials said some people had been critically injured, but as of late Tuesday no deaths had been reported. 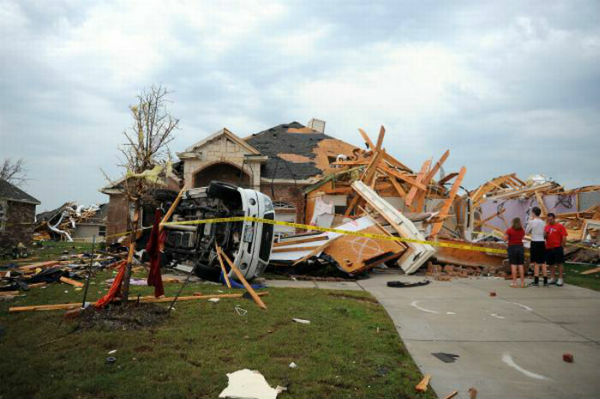 The threat for tornadoes is winding down, while damage assessments continue near Dallas. 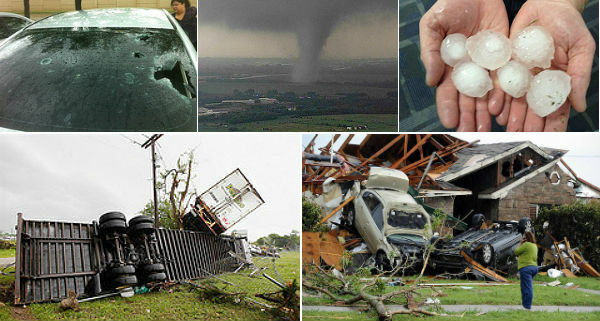 Arlington, Texas, was hit very hard, forcing the mayor to declare a state of emergency. Homes were heavily damaged in some communities, while trees and power lines were toppled. Gas leaks occurred in some parts of Arlington. Currently, storms are gathering into a squall line from Paris to Austin, Texas. The main threats with these storms are transitioning to large hail and damaging winds. However, some discrete thunderstorms firing out ahead of the main line of thunderstorms moving from northeastern Texas into southwestern Arkansas, far northwestern Louisiana and far southeastern Oklahoma could still spawn tornadoes.